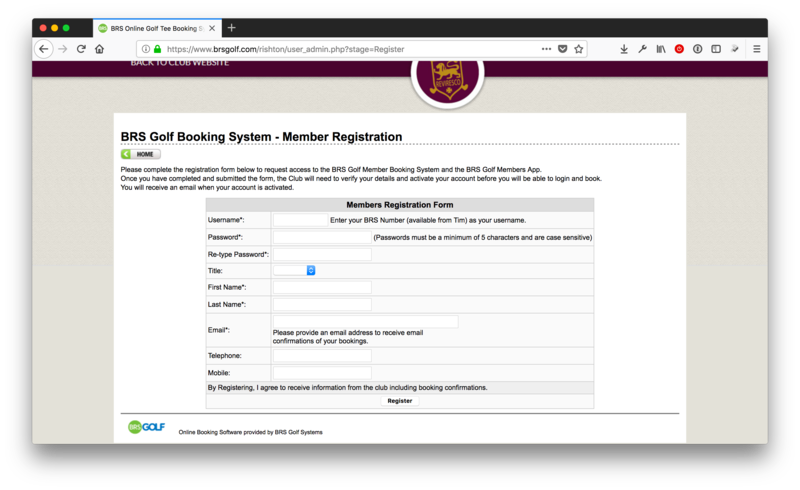 Here is a very short guide on how to Create an Account to use with our Online Member Booking system (BRS). This is used for both Competition and Casual Golf as a member. This should take you to a page that asks for a few bits of information, simply fill these in and complete the registration. One piece of Information you will need is your BRS Number this is provided by the Membership Secretary when you become a Member of Rishton Golf Club. If you have not received this number please contact info@rishtongolfclub.co.uk and request it. 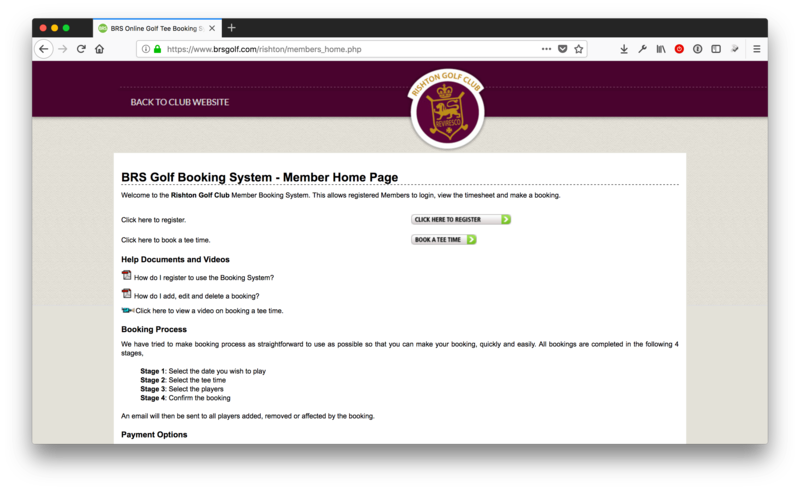 Once you are registered you should be able to login on the Members Homepage (seen above in image 2) and book your Casual / Competitive Golf.